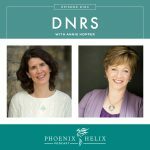 In Episode 24 of this podcast, we delved into the Mind-Body Connection and the impact it can have on our health. There's an entire field of research called Psychoneuroimmunology, which studies how our thoughts and emotions affect our immune system. Negative and stressful thoughts increase inflammation and can exacerbate autoimmune symptoms. Positive and peaceful thoughts send an anti-inflammatory cascade through our bodies. That's a power we want to harness, and meditation is a tool for doing so. I know many of you think you can't do it. My goal is to show you otherwise. There is no ONE right way to meditate. 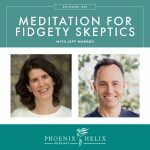 I have a series of guests who all do it differently and will be sharing how they incorporate meditation into their lives and the difference it’s made for them. 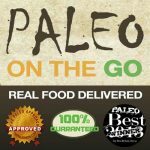 Update: We won 3rd Place in Paleo Magazine's Best of 2015 awards! Thanks for voting! AIP Variety Pack: They've collected their most popular menu items into one package and discounted it $20. Use the coupon code PHOENIX for another 10% off your first order! Place an order here, and use the code PHOENIX for 10% off your order. 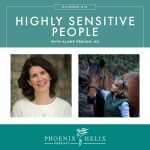 Astrid blogs at Heal Me in the Kitchen and is using the Paleo Autoimmune Protocol to heal her ulcerative colitis. She has been practicing yoga for over 15 years. After receiving her UC diagnosis, she could no longer do the power yoga of her past, but she made sure she still practiced gentle yoga daily for at least 5 minutes. She said, “Yoga saved my life.” It gave her something to focus on besides the pain and fear, and helped her move forward. Over time, her gentle, restorative sessions helped her body become strong again. Yoga Download is her favorite yoga resource. Astrid also practices a technique called “mind rest” – where you unplug and put your life on hold for 5-10 minutes. She originally learned of this practice from the book, The Creativity Cure. She now uses Sound Rx by Anne Angelone for these mind rests. Sound Rx is a collection of soundscapes to assist meditation. They include music, tibetan bowls, nature sounds, delta wave rhythms for deep relaxation, and subliminal messages designed to help the immune system heal. Astrid notices a direct effect between stress and her UC symptoms, so when she manages her stress through these practices, she feels better physically as well. For those of you who are adult coloring book fans, Astrid has some free coloring pages available through her website: Astrid Fox Art & Designs. Kristen blogs at Living Loving Paleo and is managing her Crohn's disease with the paleo diet and lifestyle. Meditation was intimidating to Kristen at first, but she gave herself a 30-day challenge to make it part of her daily life. After just 2 weeks, she came to love it and it's now one of the favorite parts to her day. She was completely surprised. She initially used Headspace for guided, short meditations in the morning. They're great for beginners, because they help focus your mind. Now she uses Pandora for calming music while she meditates. And she feels like her next step will be silent meditation. Like Astrid, Kristen also finds stress to be a big trigger for her disease, so stress management plays an important role in her autoimmune health. Some other benefits she's noticed from meditation are that it boosts her energy and sets a positive tone for each day. Kristen also writes a weekly post on her blog called Motivation Monday, to kick off the week positively. Catharina blogs at Paleo Feest, a Dutch blog, and is managing her Hashimoto's through the paleo autoimmune protocol. Her meditative protocol includes yoga, breathing exercises and positive affirmations. One breathing exercise she recommends is the alternate nostril technique. One of Catharina's favorite techniques is to look in the mirror and say “I love you. I love you exactly as you are in this moment.” She recommends Louise Hay's books on the power of affirmation: You Can Heal Your Life and Meditations to Heal Your Life. 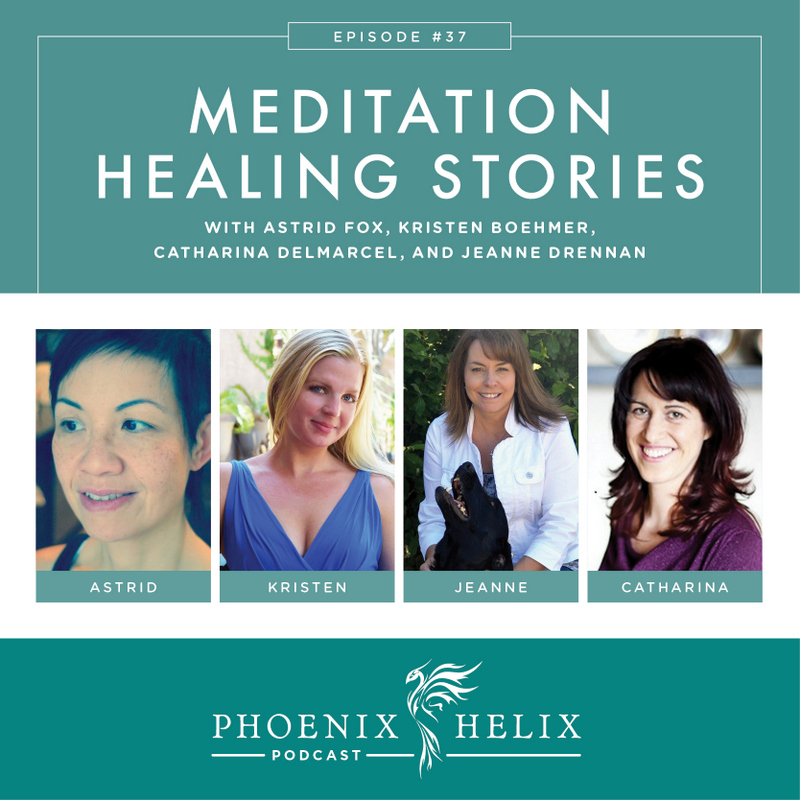 Like Kristen and Astrid, Catharina feels stress is the greatest culprit of her illness, and her meditative practices have been essential to managing stress and integral to her getting her disease into remission. Jeanne blogs at Jeannedrennan.com and is managing ankylosing spondylitis, colitis, and hypothyroid through a low-starch paleo diet and lifestyle. She took an eight week-long Mindfulness-Based Stress Reduction (MBSR) class, which teaches a wide variety of ways to practice meditation. It also provides a wonderful structure for forming this new habit. You can search for a class near you, or take a self-guided program online. Jeanne learned that she prefers moving meditations, like walking meditation. She is also practicing being present and mindful in every aspect of her life – from being fully present in her interactions with other people, to eating her meals mindfully. Jeanne is also the author of the e-book Live Well. Be Well. Eileen is reversing rheumatoid arthritis through the paleo autoimmune protocol. I began meditation when my rheumatoid arthritis was at its worst. It was the one thing I could do to ease the emotional trauma that came with the flares. After my flares subsided, I stopped meditating, but later set myself a 30-day challenge to make it a regular part of my life. I practiced at night, to help me transition from being a “night owl” to more healthy sleep habits. Now, I practice a wide variety of ways, and at different times of day. I've learned that meditation can dispel a bad mood, boost my energy and eliminate fatigue, give me more patience, or simply reduce anxiety or stress. It's been fascinating to see its power. I usually notice the benefits within 30 minutes. Here is another post that discusses the benefits of meditation and ten different ways to meditate.